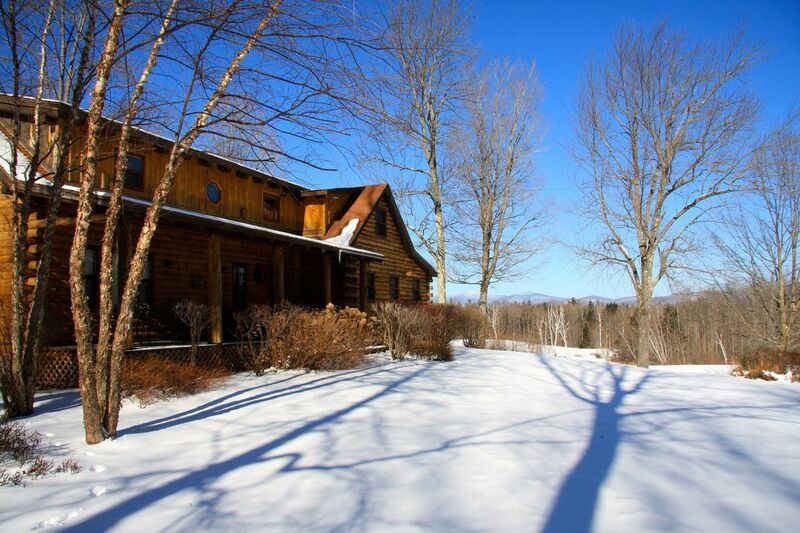 This house is suitable for you and your family because of its cozy, simple, and heart warming scenery encompassing Southern Vermont on 95 acres. We have a large fireplace to enjoy after a long day on the slopes or hiking around the property. V.A.S.T trails nearby lead to remote ponds and can lead you to the Appalachian Trail. Fiber optic internet with Apple TV and DVD players. Sit on the porch and watch the fish jump from our freshly stocked pond with brown and rainbow trout for catch and release. Fishing rods available at the cabin.Paddle boards and kayaks at pond. For guests with horses with have a two stall barn with two paddocks. Can have up to four horses. My place is good for couples, families, big groups, and pets. Four wheel drive cars/snow tires are recommended. Hello, My name is Jeremy Landy, i grew up in New Jersey and found refuge in Vermont as a teenager attending Okemo Mountain School. I studied Outdoor Adventure Leadership/ Creative Writing at Sierra Nevada College in Lake Tahoe. After graduating i headed back to Vermont to pursue a life in the green mountains. I strive to provide my guests with the best possible experience and i am happy go on a hike with my guests around the property. This remote Vermont location is the perfect distance to Ludlow, Rutland, and Manchester with tons of amenities nearby.The 95 acres around the property with a pond in the backyard give you the seclusion to bond with southern Vermont in a special way. As the sun sets you can sit on the porch with views of Killington in the distance. Followed by a starlit sky that fills you with awe. We have continued to modernize our log cabin with new furniture and a remodeled kitchen. The simple life at the Landy's Log Cabin is a getaway that leaves you infatuated with southern Vermont. We are continuing to add recreational tools like cross country skis, snowshoes, and fishing rods. We cater to homebodies and adventurers with 4 TVs, an outside grill, and our giant fireplace. Stocked pond with 170 brown and rainbow trout. 2 stall horse barn and paddock. This property connects to a series of trails that connects to the Appalachian Trail 4.7 miles away. toilet, tub, shower, jetted tub, Has heating light for after shower or bath. Cell phone service is limited, but we have multiple portable house phones. The gem of the Landy's Log Cabin. Wood stove downstairs is ideal for warming up after an adventure. Remodeled kitchen with all the utensils needed. Table can extend to sit more people. Apple T.V in main living room. T.V located in upstairs queen with DVD player. T.V also located in kids bunk bed room with DVD/VHS player. Downstairs living room also provides a T.V and DVD/VHS player. Bookshelf in living room with multiple novels. Multiple VHS's and DVDs in house. The property was amazing. It had more than enough room for a big group along with great amenities. My friends and I began an annual college reunion at this property and the experience was more than we could’ve asked for. Jeremy was a great host, answering all questions in a timely manner both before and during our stay. Whatever you would need on a relaxing getaway, this place had it and then some. The kitchen and grill allowed us to store and make plenty of food. There were plenty of places to sleep and relax inside. We, however, spent most of our time outside near the gorgeous pond with wonderful views of the mountains in Vermont. There was a nice fire pit right by the water which we huddled around when the sun would set. A few of my friends enjoyed fishing while others played a number of games on the well-kept lawn. For being what I would believe a Winter hot-spot, this property was great to our big group in the middle of Summer. The house was just what we expected! Jeremy was attentive and responsive with questions. All in all a great experience! The home was beautiful and had plenty of space for our group. The fireplace kept us warm and cozy. If you are planning to ski at Okemo, this house is just a short drive away! Overall we liked the cabin. Accommodated four families with kids. Updated cabin in good condition. Cozy with wood burning fireplace, nice kitchen, beds were in good condition, nice views of mountains. Three bathroom made it easy for four families. The house has a land line which helped, but cell service was very poor (we could not no make cell phone calls nor get signal for data, thus no internet). The cabin has free Wi-Fi, but the connection did not consistently work, and for some member of the party, they weren't ever able to connect. All in all, we'd likely return. Four families (8 adults + 8 kids) fit perfectly here for a ski weekend. Beautiful property, and plenty of room for all of us. The cabin was awesome, plenty of room for our party of 15. The view outside to the pond / woods was gorgeous. Location was great as well - only 20 minutes or so to get to Okemo. Thanks! Alot of fun things nearby like the Vermont Country store. I am happy to advise any of my guests about restaurants and various sites around Mount Holly, VT.